HMS Royal Oak was a Royal Navy battleship which was moored in Scapa Bay as an antiaircraft platform to help defend a vital radar station on the cliffs. On the night of 13 October German submarine, U-47 manoeuvred into Scapa Flow and finding the Royal Oak at anchor fired torpedoes which led to the sinking of the huge ship. 834 men were lost of the 1,200 crew on-board with the few survivors struggling in the cold oil-covered water. Research shows that two 50-foot picket boats were on onboard HMS Royal Oak when she was torpedoed. Number 749 was built by J Samuel. Documentary evidence indicates that around 100 crew members abandoned ship via her port side pinnace, which had a lifesaving capacity of 59. 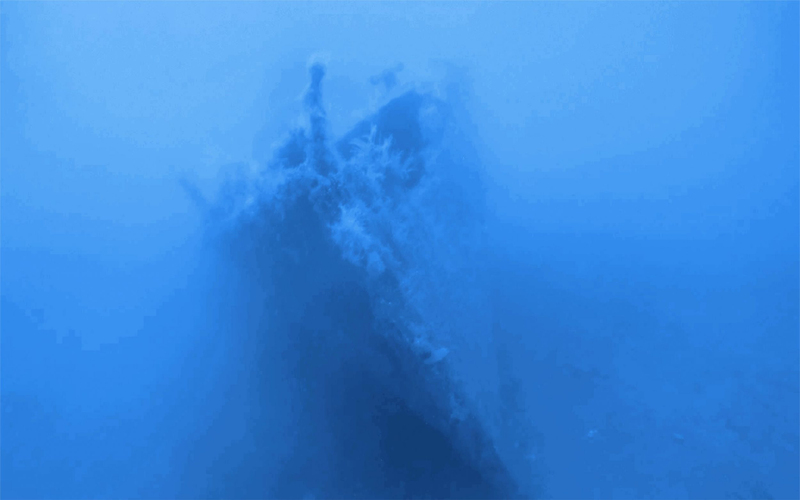 The Starboard side pinnace went down with Royal Oak and can be seen on the seabed a short distance from the wreck. The small pinnace had not got up steam so boards were used to paddle the vessel away from the sinking Royal Oak. The pinnace began to rock due to being overloaded and the chief buffer tried to counter the movement by shouting instructions ‘’Lean to starboard, lean to port’. Some on deck were ordered below to make more room as more men tried to climb onboard. The site had been previously side scanned by SULA Diving as part of a survey for OIC Harbours but the identity of the craft had not then been established. As part of the project, a dive survey was conducted by SULA Diving of Stromness on the contact to establish that this was the missing port side pinnace. This exciting project is led by Sandra Henry of UHI Archaeology Institute, ORCA (Orkney Research Centre for Archaeology), the University of the Highlands and Islands Archaeology Institute and Kevin Heath of SULA Diving who have brought together universities, commercial companies and government bodies including Historic Environment Scotland, Marine Scotland, Ulster University, Heriot-Watt University, University of Dundee, and Seatronics – an Acteon company.